Home Grown Produce Is The Best! I did some traveling this summer and was lucky enough to stay with good friends along the way. One of my friends has a beautiful garden in her backyard, with all kinds of wonderful growy things to choose from when preparing a meal. The tomatoes were just coming into their own, and the fresh herbs were happy and healthy. What a feeling of abundance it is to go out the back door and pick dinner! The best thing about home grown produce, other than knowing how it was grown and what is and isn’t sprayed on it, is the quality of the food. 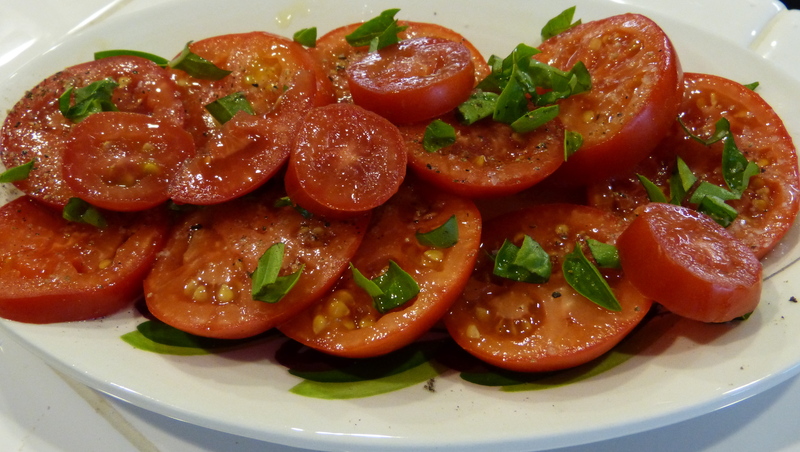 When you slice up a tomato that has just been picked off the vine, nestle in some fresh basil leaves, all you need to do is sprinkle with a good quality olive oil, maybe some salt and pepper, and you have got the most amazing dish! It can’t be any simpler than that, and really…. it can’t get much better, either. Eating healthy meals can be so easy, especially when you start with high quality produce. If you can’t grow any of your own, find the farmers markets in your area, or get to know your neighbors who have gardens. Many times they are happy to share or barter. Getting something that is fresh, full of flavor and full of nutrients – way worth getting your hands dirty! Because I was out of state for most of the summer, I didn’t get a lot of time to grow things, but since our weather has been so nice, I did just plant herbs in hopes that I will have at least several months of use. Along with mint and rosemary that survived the winter, I just planted dill, basil, cilantro and parsley. I still need to find some tarragon, although that is usually the toughest one to locate. What about you? 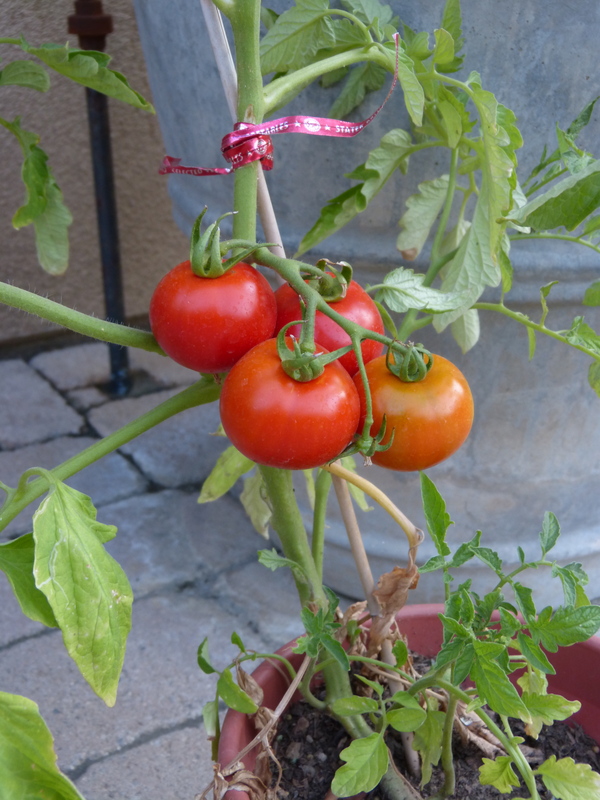 Let us know what you are growing this season! Posted in Ingredients, Veggies | Comments Off on Home Grown Produce Is The Best!